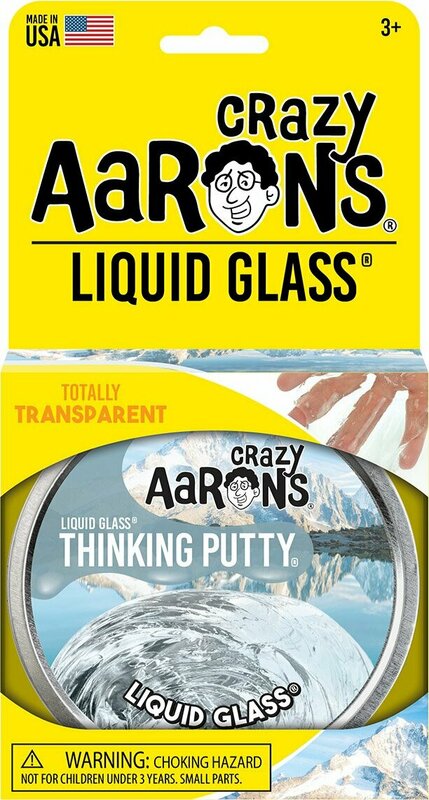 For Putty Worlds most hard-core fans on Facebook, they created Liquid Glass Thinking Putty.So clear you'll think the can is empty! Really!! 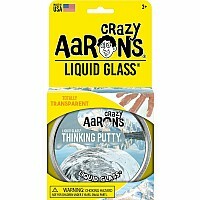 Crystal Clear Liquid Glass Thinking Putty develops a cloudy appearance when played with that quickly fades back to crystal clarity once you put it down. Unlike their other Thinking Putties, it will flow completely into a puddle on its own. Very different, unique and fun! 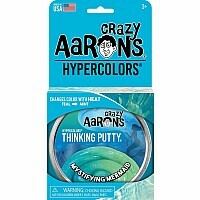 Great for embedding objects like coins, action figures, and more!Liquid Glass can leave marks on paper, so they recommend playing with it and then leaving it in its tin to settle.Made in the USA!Each metal tin is hand packed with 1/5 lb of Liquid Glass, much more than you get in a plastic egg!